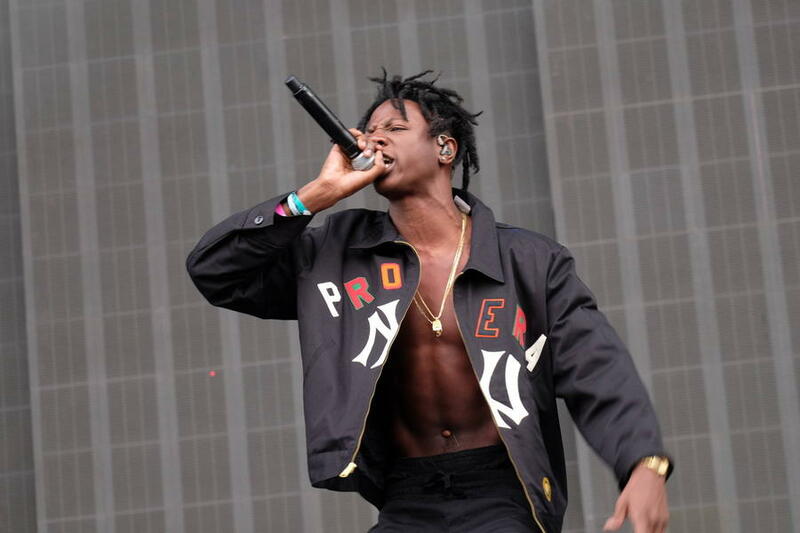 Rapper Joey Bada$$ has been charged with assault for allegedly punching a security guard at a music festival in Australia. The hip-hop star was about to take to the stage at the Falls Music Festival in Byron Bay on Friday (02Jan15) when he allegedly became involved in an altercation with an on-site worker. A police spokeswoman tells the Sydney Morning Herald, "A 20-year-old man was allegedly punched in the face by a man while working as a security guard at the festival... The man was treated for a broken nose and other facial injuries." The rapper, real name Jo-Vaughn Jalani Virginie, was arrested after his performance and charged with assault occasioning actual bodily harm. Following an appearance at Lismore Bail Court on Saturday (03Jan15), he was bailed to appear at Byron Bay Local Court on 19 March (15).